Cold Heart - The Eveloution of Gina Eleta - traditional and digital artwork - Furtopia | Family Friendly Furry Forum and IRC Chat! Hey all. I wanted to share the progress of my protagonist from my book from early concepts to final design. The idea behind the story was to write something I could make a game or animated cartoon so Gina was created to fill this gap. My first designs were human and never made it off paper. I ended up drawing one of my dogs and realized that I could make the image work so I had a little play around with an image as a concept design for ideas mainly. I can not remember where I found the image but never intended on using it. It was purely for a proof of concept only. I had a play with this design creating many different adaptations of Gina's head and a set of heads for lip syncing. 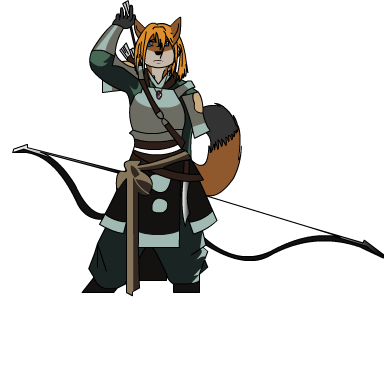 The Design of her character however I never enjoyed and the software was a little touchy for PNG images although it does have some advantages. Next was the first hand drawn concepts. Finally I had something I liked. So onto the digital art. Early images of Darnell who later became Kolin. I continued to work on Gina for another few months developing her as the story continued. Eventually I settled on a theme and the character really grew. 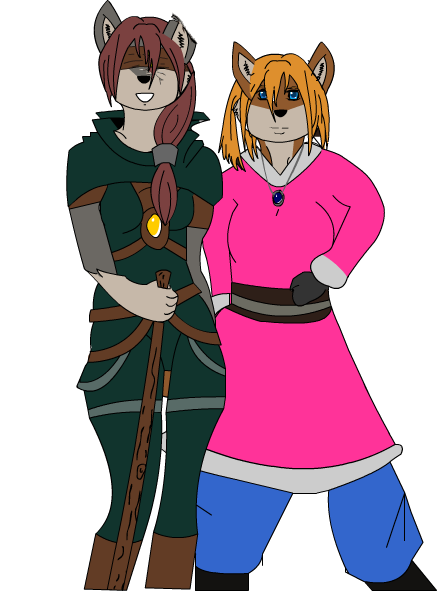 Gina and Kaida together for the first time for a size comparison between the two different races. The 3D model was one of the most interesting thing I have done and I was really happy with the results. The advantage is I can reuse the 3d assets to create all the other characters with some minor tweaking. Thanks for taking the time to look over a few years of character development. . So I am finally up to the final part of the book, Its due to hit the editor early to mid July for a final edit before publishing. So finally its time to work on the final parts cover design and I decided to add a new character that appears in Part 5, Ellie Alvey. Doing a little more research into what type of Canid I wanted her to be I settled on a Mesomelas (black-backed jackal) Still early days with her character design. I hope to get something done in flash tonight for the new cover. I think her nose is a little too large compared to the other species of canidae's but I will see how it looks when I give her some colour.